Who, pray tell, is Moss Kena? 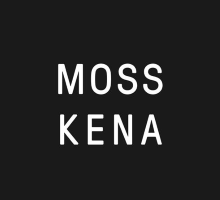 Sometimes the most exciting new artists are those you happen upon by accident, and courtesy of a Spotify-curated new music playlist, I just heard a masterful cover of Kendrick Lamar’s “These Walls” by a promising new artist named Moss Kena. This artist is a complete enigma. Although there are Twitter, SoundCloud and Facebook pages maintained in the artist’s name, there appear to be no publicly-available artist photos, or a bio, or anything else that tells the artist’s story. Spotify has but this one track available, which was released last month, so presumably it is the artist’s debut single. All of this suggests a considered and deliberate attempt to create a bit of mystery, and it’s working! But don’t let this distract you from the music at hand. It’s a very tasty, well-produced and head-nodding mix of electro-soul, funk, and jazz with just a dollop of hip-hop wobble. So give Moss a listen, and let’s hope there is more to come from this new talent. Enjoy.